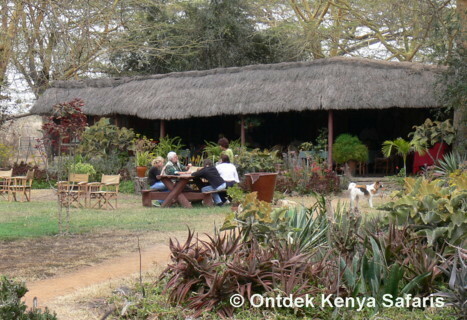 Acacia Camp is an adventure resort in the Swara Plains Conservancy just 30 minutes out of the city of Nairobi. This begs the question: if you are coming to Africa for an adventure safari, why stay in a city hotel when it's possible to jump right into the safari spirit by staying in a camp where giraffes, elands and other antelopes roam free on the resort's grounds? Wouldn’t you want to be greeted by these majestic animals on your first morning during your African Safari? The 20,000 acres Swara Plains Conservancy is old wild Africa at its very best: wide open savanna grasslands, tall yellow fever trees, endless views, over 3000 resident population of easy to see game and +270 bird species. The Swara Plains are part of the Tsavo-Amboseli eco-system and with exception of elephants, rhinos and buffaloes all the other plains game found in Tsavo and Amboseli is found here. In this adventure resort you will see big herds of oryx, elands, wildebeests, giraffes, monkeys, hartebeests, zebras, impalas, Grant's and Thompson's gazelles, warthogs and the occasional gerenuk (= giraffe-neck gazelle) in total absence of mass tourism. Environment conservation is top priority here e.g. numerous dams have been dug to trap the scarce rainwater and there are well-maintained earth roads for game drives and nature walks. 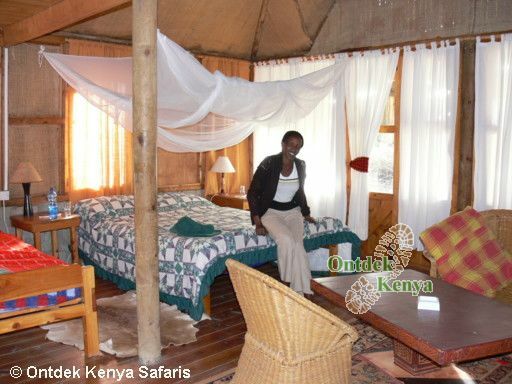 Acacia camp is a rustic safari resort with only 13 comfortable bandas, limiting the number of visitors in the conservancy. It is a place to switch off from hectic life as you immerse yourself in unspoiled nature. Plan your day, your style. Choose game drives, guided nature walks, bird watching excursions and cap it all with night game drives to look for nocturnal creatures such as aardvarks, spring hares, bush babies, genet and cerval cats. Good food is a big part of the safari resort – expect healthy meals that will keep you energized for whatever activity you choose. 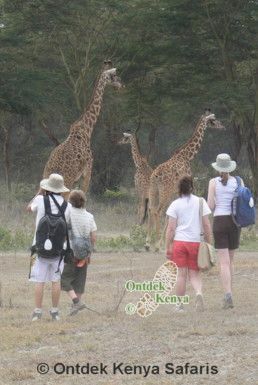 Acacia camp is an ideal place for solo travelers, for families with children, for nature travelers of all ages and it is the very place for school tours. The weather in Acacia Camp is nearly always warm and sunny, making it a vacation resort for a long stay holiday with breaks to explore Tsavo and Amboseli. 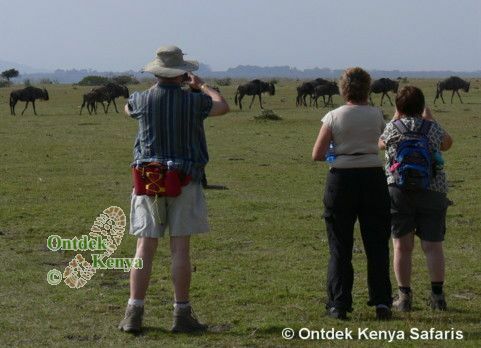 Contact Ontdek Kenya Safaris – Kenya’s leader of genuine nature safaris, for a consultation on accommodation, activities and logistics for your nature safari in Kenya using the Acacia Camp as your preferred wildlife conservancy.